Durable soft, elastic, non-slip, wear-resistant, better protect the buttocks! Hollow breathable design and ergonomic. Made of non-slip wear-resistant fabric, slightly elastic, high quality and durable. The cushion is hollow breathable, reduces the stuffy feeling of the buttocks. Memory sponge and silicone, shock-proof and super breathable, not easy to deformation. 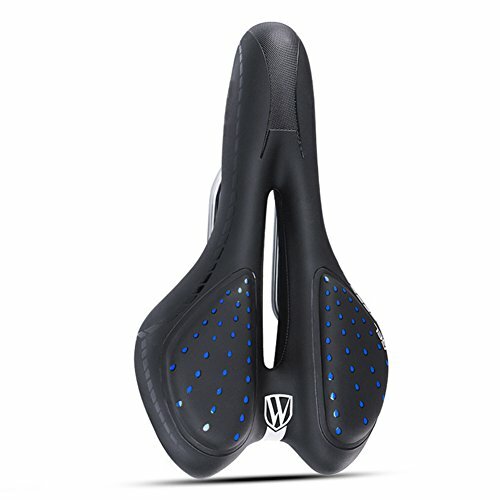 The bike seat is very easy install and suitable for all kinds of bike.